When ma - rim - ba rhy - thms start to play, dance with me, make me Sway. Like the la - zy o - cean hugs the shore, hold me close, Sway me more. Like a flow - er bend - ing in the breeze, bend with me, Sway with ease. When we dance you have a way with me, stay with me, Sway with me. Oth - er dan - cers may be on the floor, dear, but my eyes will see on-ly you. On - ly you have that ma - gic tech - nique, when we Sway I grow weak. I can hear the sound of vi - o - lins, long be - fore it be - gins. 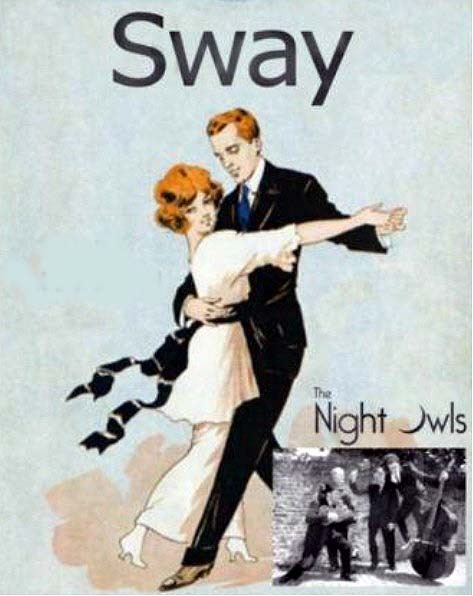 Make me thrill as on - ly you know how, Sway me smooth. Sway me now. Sway me smooth. Sway me now.